San Diego Police Saturday released the identity of the officer who fatally shot an assault suspect in Southcrest who was allegedly advancing on the lawman in a menacing manner Wednesday evening. Officer Corey Pitts, a two-year veteran of the San Diego Police Department, shot 48-year-old Vaughn Harrison Denham at least once after the latter refused to comply with orders to drop a large chain he was swinging at the officer and showed no reaction to being shocked with a Taser, according to San Diego Police Lt. Matt Dobbs. Denham died in a hospital about 7:45 p.m. Wednesday, several hours after the law enforcement shooting in the area of Boston Avenue and South 40th Street in San Diego, according to police. On Friday, Denham’s family called on police to meet with them and show them video of the incident so that they could “understand the full picture of what transpired,” NBC San Diego reported. 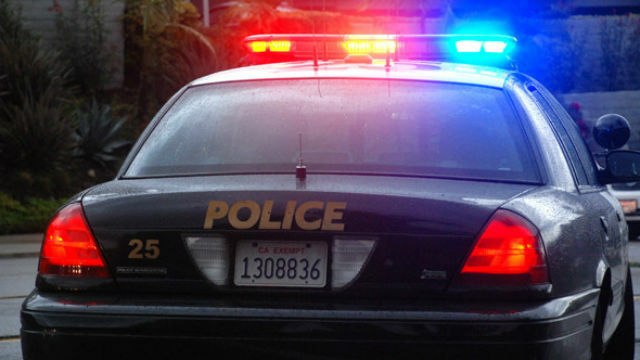 The events that led to the deadly gunfire began about 5:15 p.m., when several 911 callers reported that one man had attacked another with a machete or similar weapon in the inner-city neighborhood between Interstate 805 and state Route 15, Dobbs said. Officers arrived in the area to find a 57-year-old man who had sustained injuries consistent with an attack by a bladed weapon, Dobbs said. Medics took him to a trauma center for treatment of the wounds, which were not believed to be life threatening. A short time later, an officer spotted a possible suspect in the assault around the corner from the site of the attack and contacted him. The man, later identified as Denham, allegedly was carrying a large metal chain, refused to follow the officer’s orders to drop it and began moving toward him. Retreating, the patrolman tried in vain to subdue Denham with an electric stun gun, which had no discernible effect, according to Dobbs. Two other officers then hurried over and took Denham into custody following a struggle, after which medics rushed him to a hospital. No officers suffered any significant injuries during the incident, the lieutenant said.